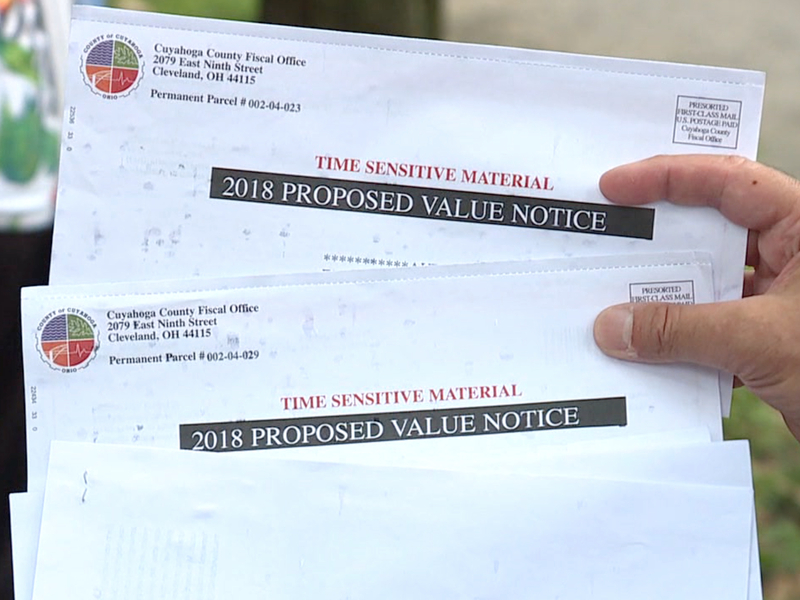 Some Cuyahoga County homeowners are concerned about dramatic increases in their property values after they discovered many of the property reassessments performed by the county were done by outside contractors and not county employees. Cuyahoga County leaders said that 51 of the 75 appraisers used to assess some 500,000 county properties were hired consultants, licensed and certified by the State of Ohio and not county employees. But some residents are wondering if the use of many freelance appraisers could have played a role in the wide variety of property value increases that have a growing number homeowners looking to appeal their reassessments. Nelson Cintron and his group, United Citizens for Fairness, are concerned about the use of freelance appraisers and believe the county should extend the Aug. 31 deadline to file informal appeals. "People are complaining, people are screaming," Cintron said. "I'm not sure why the county council is not acting. When it comes to the county using outside appraisers, it's very sad, because in the past you had all this done in-house"
"The state offered the county their list of people who have been doing this year in and year out, but the county then decided to do it their own way." Cleveland Councilman Michael Polensek said he's received numerous phone calls from homeowners who have experienced a wide range in property reassessments in the same neighborhood and on the same street. "When you have houses in the same neighborhood and they are separated by $30,000 and $40,000 in evaluation in the very same neighborhood, something is wrong," Polensek said. "Keep screwing with people's taxes, keep jacking up their taxes, and don't give them services. That's the trend you're going to see, is people talking with their feet out of the county." Meanwhile, Cintron's group is organizing a public meeting where concerned homeowners can talk directly to leaders from the Cuyahoga County Fiscal Office. The meeting is set for next week, Aug. 28, at 6 p.m, at the Franklin Circle Church, 1688 Fulton Road, Cleveland. The county providing an information page for homeowners who have questions about the reappraisal process.